In earlier days unable to control the ads quality, pricing and timing by both publisher and advertisers. To overcome these issues bidvertiser introduces the unique technology to control advertisements by both publishers and advertisers. Bpath is the founder of site targeted market place named Bidvertiser and founded in year 2003. Its yet another successful (Bid per click) pay per click programs like Google Adsense, which helps advertisers can able place ads directly to the publishers website by their choice and pay only when the visitor click their advertisements. Also bidvertiser offers standard ad units, banners, button ads, skyscrapers and in-line ads too. Paying through PayPal to their publishers with the minimum payout of $10USD, so the receiving payment from bidvertiser is lightning fast and also promises to display the highest paying bidders advertisements on the publishers website. So, Publishers getting more revenue than other pay per click programs. In Bidvertiser you can easily customize advertisements, balance with layout of the publishers website. This ensures you to getting more clicks and more revenue. Also you can filter unwanted ads to be displayed in your website. It gives you a peace of mind with regards to the ads displayed on your website. Also Bidvertiser publisher center having option to generate detailed report to monitor you ads performance including number of page impressions, number of click, click through rate (CTR) and total amount what you have earned through your website. 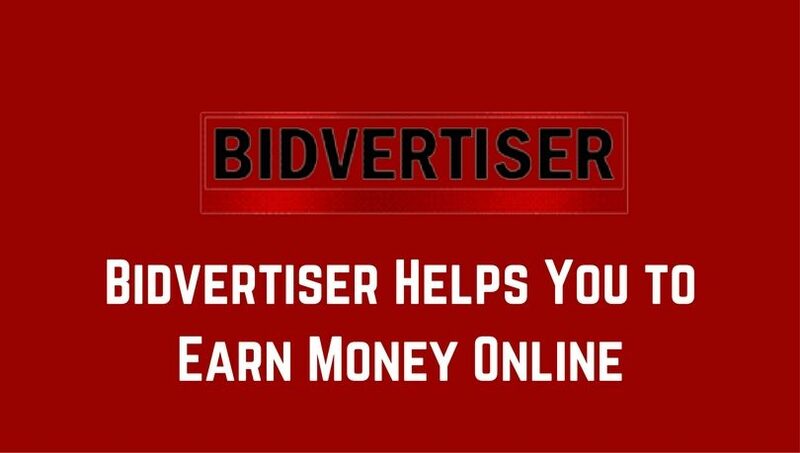 Bidvertiser offers you earn money by referring new publishers and advertisers through bidvertiser referral button or link. If someone sign in as advertisers through your referral link, when the advertisers spends first $10USD the referred publisher get $5USD in their account. When the same advertisers spends First $50USD the referred publisher get credit of additional $20USD. If any publisher sign up through your link when they earn first $10USD, the referred Publisher get credit of $10USD in their publisher account.When the same publisher earns $50USD the referred publisher get credited additional $40USD. Happy to hear this. Sign up now As Bidvertiser publisher and start making money online.